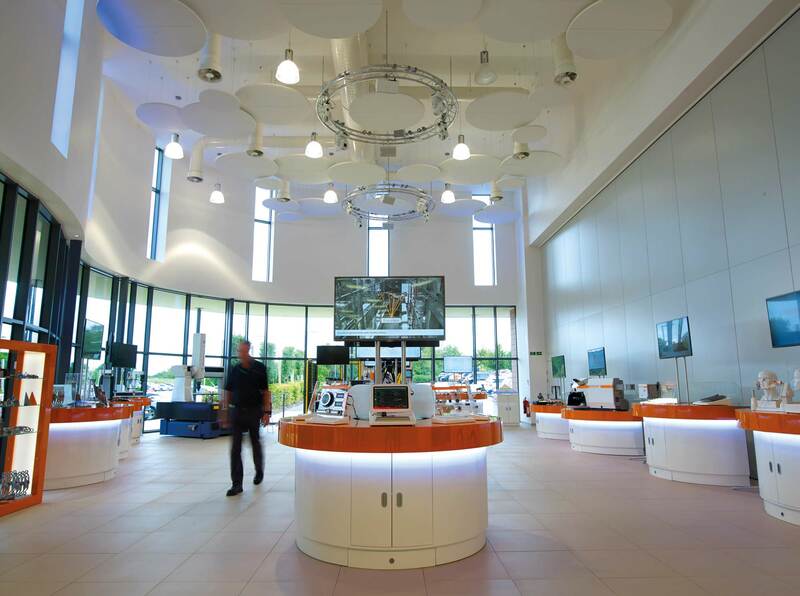 Working closely with Renishaw, we developed a highly flexible two storey space circa 20,000sqm on a challenging sloping site adjacent to a flood plain and a Grade 2 Listed building, project managing the scheme to a very successful completion. The building has heavier R&D engineering activities located on the ground floor and more office based activities on the first floor. The entrance core houses reception, conferencing and lecture theatre along with product display areas and training areas. The research areas include extensive laboratory and climatic controlled testing facilities along with dark rooms. At first floor level are further conferencing and meeting facilities, along with Board Directors offices and general open plan offices for circa 450 people.